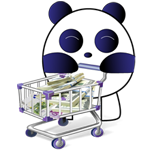 Purple Panda offers eCommerce solutions that will leave your business taking orders even as your stores are closed. From simple eShops selling a small range of products hosted and manged on-line through a web browser to advanced eCommerce sites integrated into your business with your own dedicated server including batch updates from your own databases. All of our eCommerce Solution include the following features. Easily add, remove and edit products and categories via any computer with an internet connection. Maintain stock levels for products. Manage your customer’s accounts and orders. Alter your P&P and Tax settings. Send out content rich e-mails to your customer mailing list. View indepth statistics on the number of visitors to your site. Take orders by cheque, credit and debit cards. Browse your website by category or search for individual products. Securely and easily purchase your products. Create their own customer account, with order status, and archive of past orders.